Software Companions is a supplier of viewing, annotation and conversion software. Our main products are ViewCompanion and GerbView, which handles commonly used file formats like PDF, Gerber, DWF, PLT, CGM, TIFF, CALS and many others. 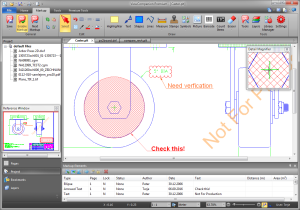 ViewCompanion Pro can view, print and convert Adobe PDF, Autodesk DWF, PLT, CGM, TIFF, CALS, PNG, HPGL/2 and other formats. Use ViewCompanion to convert your files into a number of different formats including PDF, DWF, DXF, TIFF, CALS, JPEG, PNG and HPGL/2. Annotate your files using stamps, dimension lines, measurement areas, text, highlights, notes, symbols, pictures, revision clouds and other shapes. 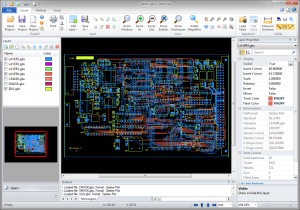 ViewCompanion Premium is the most powerful ViewCompanion edition and includes all functionality from the Standard and Pro editions. 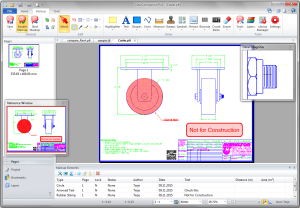 Premium adds a PDF to CAD tool for converting PDF files to editable formats like Autodesk DXF, DWF, SVG and CGM. View, print, markup and convert a number of formats including PDF, DWF, TIFF, PLT, EDMICS, CGM, CALS and PNG. You can use your scanner from Premium to create a new multipage TIFF. Advanced raster tools like deskew and clean-up are available. Add markup using many different tools including lines, text, images, polygons, symbols, stamps, dimension lines and, measurement areas. GerbView can view, print and convert Gerber, PDF, ODB++, Excellon, HPGL-2 and other formats. GerbView do support both RS-274D and RS-274X Gerber standards, and you can use it to convert your old Gerber files to the newer extended Gerber format. scViewerX is an ActiveX that can view, print, annotate, and convert PLT, PDF, DWF, CGM, TIFF, CALS and other formats. ScViewerX can convert your files to a number of output file formats, including PDF, PDF/A, TIFF, DXF, DWF, CALS and PNG. 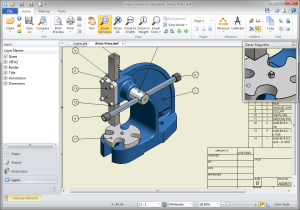 You may use the PDF to CAD functionality to convert your PDF files back to an editable CAD file, using for example the DXF format. scViewerX contains more than 200 methods, properties and events. You will find methods for merging, splitting and encrypting PDF files, comparing drawings, deskewing images, printing, converting, adding annotations and much more. scConverter™ is a DLL Component that can convert PDF, DWF, Gerber, CGM, TIFF, CALS, PLT, PNG and JPEG files to a number of output formats. 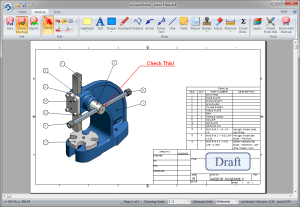 The list of available output formats includes PDF, PDF/A, DXF, DWF, CALS, TIFF, PLT, JPEG and PNG. 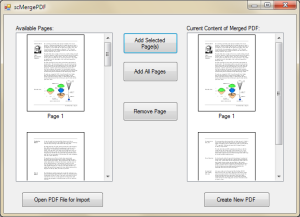 The DLL can merge multiple PDF files into a single multipage PDF file, or split a large multipage PDF file into smaller files with one or more pages each. You may use scConverter in any development environment that supports either COM or ordinary DLL import.